Transition Edinburgh South became a constituted body in June 2009. Much of the early initiatives focused on sustainability in the area of energy efficiency and this was supported by the Climate Challenge Fund. An interesting piece of work was using motivational interviewing to raise awareness in a hard to treat street of Edinburgh tenements. We then moved on to a more encompassing piece of work by promoting easy and enjoyable approaches for all residents to live a low carbon lifestyle through community-led initiatives such as a local bread bond co-operative, carbon diet courses in schools, local food growing and harvesting soil-enrichment training and creating a green map for south Edinburgh . This introduced us to our current work with schools through the development of a derelict walled garden. We have now worked in the Gracemount Walled Garden for four years and the community supporting it has grown. Every Thursday we have a community lunch that anyone can come along to. TES is now a community interest company. We work closely with 2 Primary Schools, 2 High Schools and a youth group. The demand is increasing. During one year thanks to CCF funding we had 8 days of a gardener and 5 days of a food worker. The highlights of this year are shown in the end of year booklet we created http://www.transitionedinburghsouth.org.uk/grow-stronger-yearbook-2016/. 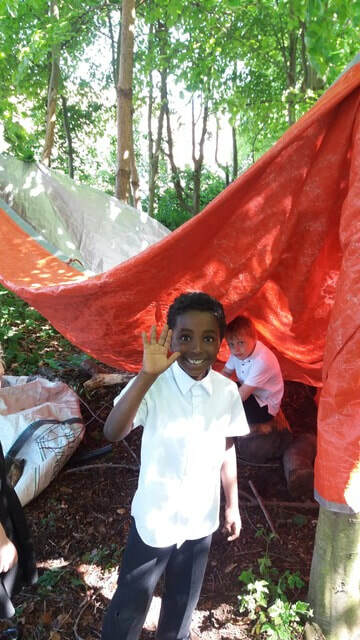 Our work includes teaching the children how to den build. We are now in the process of applying for an asset transfer for the garden and a dilapidated List B stable block. 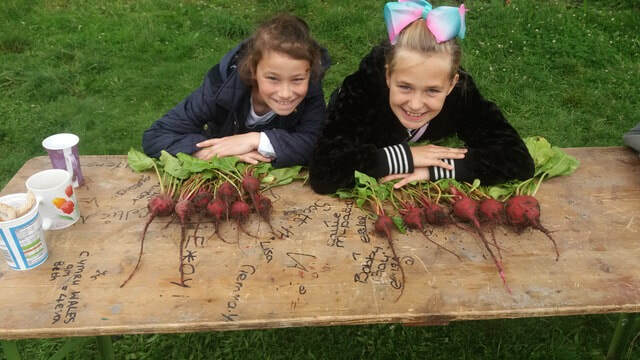 We are looking forward to a new chapter that in a deprived area will introduce the children and volunteers to new skills both to do with food growing (using carbon sequestration methods) and how to preserve our food over time and bring back local crafts. Bringing in more people and not just talking to the converted.